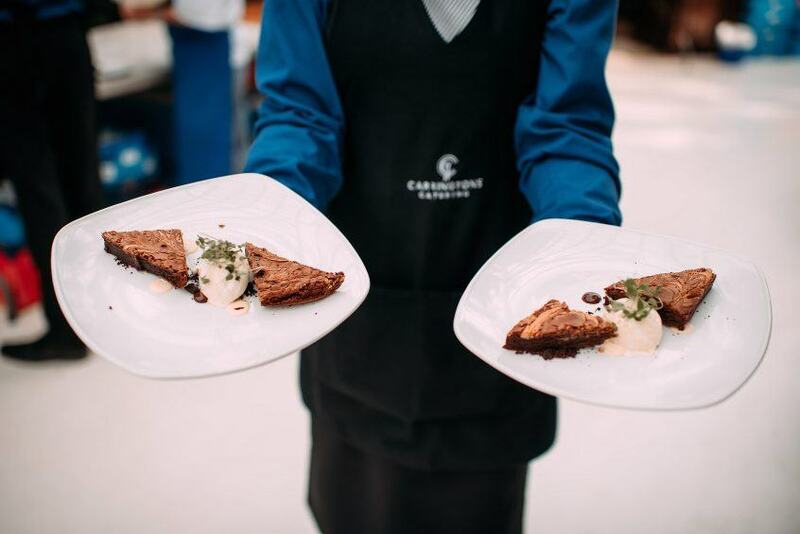 Carringtons Catering is urging the hospitality industry to celebrate front of house teams ahead of Waitstaff Day (May 21). To mark the calendar day, the award-winning catering firm is championing waitstaff by highlighting the importance of the role and looking at how a happy team can equate to big business, taking a leaf out of Europe’s book. Director Helen Wynn said: “Here at Carringtons Catering, every member is valued, and we take immense pride in our front of house team. At any event, these are the people that represent the company, and so their demeanour and attentiveness really does say a lot about the efficiency and professionalism that goes on behind the scenes. “In Europe, waiting is often seen as a desirable career with people aspiring to provide the best service possible, with a vision to change the hospitality industry and be the best at what they do. The importance placed on the role of waitstaff in Europe is reflected in their income with the average salary in the UK coming in at £16,500 compared to £24,500 in France for example. “Considering that waitstaff are an integral part of any hospitality business, the salary in the UK has actually decreased by 2% in the last year, which in turn has opened up the skills shortage gap further. I can’t stress enough how important it is to look after your team and waitstaff are certainly no exception to this. If we look at the example set by the likes of Italy, Spain and France we can see that taking care of individuals creates a team that constantly strives to learn and improve with the intention of building a career rather than seeing the role as a stop gap until another opportunity arises. “Waiters add so much to the overall dining experience and it could be something as little as a smile that makes all of the difference and sees customers coming back in the future. The key to building a great rapport with clients is to let your personality shine through and so we encourage everyone within our company to be themselves and embrace their individuality. “The hospitality industry is notorious for high turnover with figures up to 31% (higher than that of the rest of Europe) which makes it all the more important to treat your staff well. Here at Carringtons Catering we offer a number of incentives as I am a firm believer that if your team are happy then business will naturally thrive. We offer each member of our waitstaff team full training so that their product knowledge is completely up to speed and ensures that each individual is confident when dealing with clients face to face. On top of this, rewarding hard work is a fantastic way to motivate a team and our ‘Perk Box’ certainly goes down a treat. The scheme offers a number of lucrative rewards such as freebies or discounts in a number of high-street shops, entertainment venues and restaurants, meaning that their families see the benefit too.